Several industries are dominating early experimentation with blockchain technology and it’s no surprise that the financial services sector has taken an interest. Bank of America (BAC) and Mastercard (MA) have filed for dozens of patents between them, and technology companies like IBM (IBM), Apple (AAPL), Intel (INTC), and Accenture (CAN) have accumulated patent filings in the double digits. Applications are not limited to these two sectors, however. General Electric (GE), Walmart (WMT), and others have joined the rush to create proprietary blockchain applications. As with any emerging technology, the bulk of investment activity is occurring at early-stage companies. Excluding enterprises that have funded themselves via token offerings, companies using blockchain technology have raised billions in venture capital funding, with dozens having raised more than $10 million. Companies such as R3, Ripple, Chain, Ledger, and Digital Asset may not yet be household names, but these well-funded firms are increasingly working with companies that are. The investment activity of the largest public companies and venture capital firms is consistent with our view that there are a handful of immediate-use cases for the technology. Most of the activity is in financial transactions, though other applications are arising. R3 has produced an open-source distributed ledger product that enables a variety of financial applications. 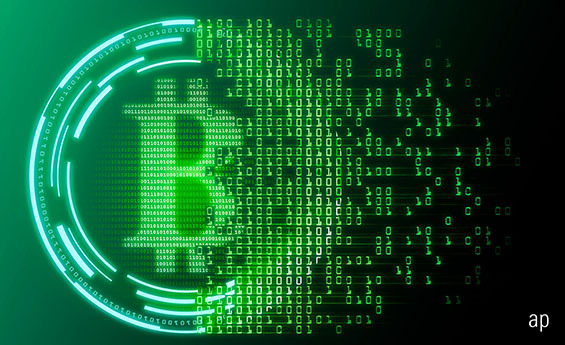 Digital Asset’s offerings are similar, in that a permissioned blockchain is used to avoid some of the privacy and regulatory issues associated with public blockchains. Ledger provides security solutions for cryptocurrencies. Ripple is focused on cross-border payments, enabled by using its own digital asset, XRP. Blockstream is developing a variety of sidechain applications. Steem is an interesting experiment outside the financial services sector. It produced a crypto-based social publishing platform along the lines of Reddit. Users earn financial rewards in cryptocurrency rather than “likes”. Canaan Creative has produced specialised bitcoin mining hardware. Venture capital firms and publicly traded companies are not the only source of funding for blockchain projects, though. The technology has made possible a completely new asset class, as ventures raise funds by selling digital assets. These initial coin offerings, or ICOs, have resulted in several billion dollars in funding for blockchain projects in the past year alone. ICOs have produced even more speculative activity on average than the venture capital space, with large amounts of money have been raised by ventures. As a new, highly speculative asset class, ICOs have generated significant regulatory attention, with some parties engaging in outright fraud as fundraising activity skyrockets. That said, there have been notable ICOs with viable product plans and talented teams, and sophisticated investors have backed some of them. Ethereum and Filecoin, for instance, provide distributed computing. PitchBook has developed a seven-factor framework for qualitatively assessing initial coin offerings. As well as factors common to other early-stage ventures – market opportunity, founding team, key milestones, and legal/regulatory considerations – PitchBook suggests analysis of the incentive structure, token classification, distribution, purpose, and potential network ecosystem.